Sounds too good to be true, but actually it's true!!! Book your first night or room and get the next night or room for only PHP 1 NETT at Crowne Plaza Manila Galleria. 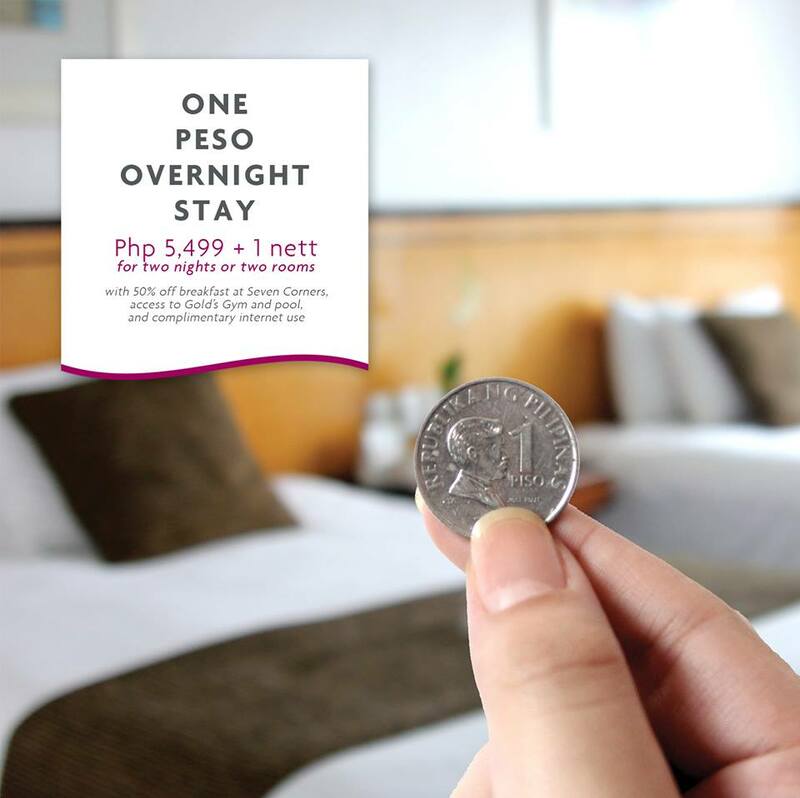 For only PHP 5,499 NETT, enjoy that break that you have been waiting for at the heart of the metro, inclusive of complimentary internet use, access to Gold’s Gym and the outdoor pool, and a 50% discount on buffet breakfast for two (2) at Seven Corners Restaurant. Then get your next night at Php 1 NETT! for stays from October 29, 2017 to January 31, 2018. * Promotional offer is a total of Php 5,500 for two nights or two rooms. * Offer is a one-day flash sale. Reservations are open on October 12, 2017 ONLY. * General hotel terms and conditions apply. Call 633-7222 or email cponedaysale@gmail.com on October 12 to book your well-deserved break!